Jalan buroh near mobil petrol station. Under the bridge kanna fence up lo only can fish on top. Huat ah chionging to LAB park jetty now!!!!!! Horhor i know which tamban liao! Hi peace those durians damm yummy n the sound of durian dropping very shiok.btw that fruit really look almost like cocoa. no season for mud crabs just go during the rising tide all the best. Huat ah !!!! finally vidic break the "egg"
for me high tide is the best try go 3 to 4hrs before the max tide. 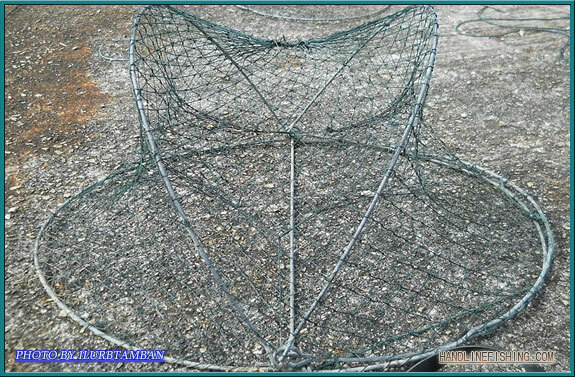 i suggest u use this trap best for crabbing better than bento. Hi newcrabber, nice flowers u have there maybe u can take a look at hlf 's crabbing guide for more tips?